The Ultimate BBQ - burgers, wine, good friends, good weather (hopefully). £80 worth of food & drink! Celebrate the kick off of a brand new footie season by hosting the ULTIMATE SPARbecue this August. 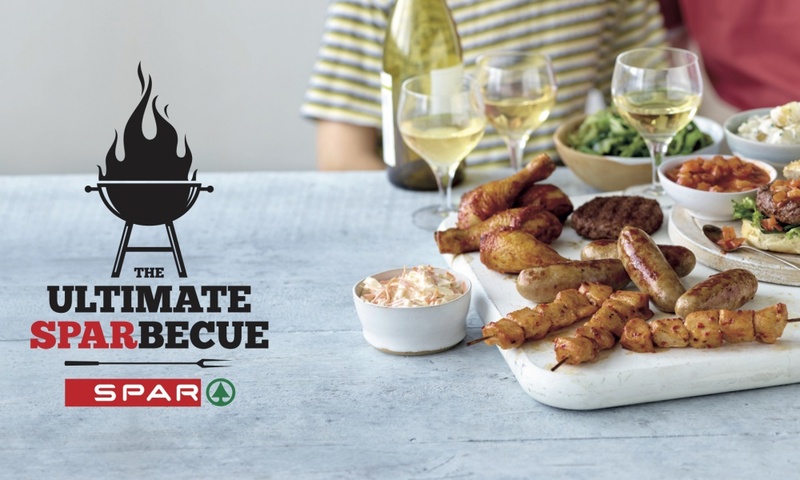 Apply to be one of 500 lucky hosts set to get their hands on a HUGE haul of goodies from SPAR, including food, drink and a license to grill! Every host's ULTIMATE SPARbecue Kit will include £80 worth of food and drink, plus fun games and chances to win BIG prizes. 1. This promotion is administered and run by Come Round Limited whose registered office is at 32 Mulberry Way, Armthorpe, Doncaster, DN3 3UE (Company No: 07295031) (“Come Round”, “we”, “our” and “us”). 2. Entry to all aspects of this competition is open to all legal residents of the United Kingdom aged 18 (eighteen) years or over at the time of entry who are resident in the UK but excluding employees of SPAR (UK) Limited of Mezzanine Floor Hygeia Building, 66-68 College Road, Harrow, Middlesex, HA1 1BE (“SPAR”) and Come Round and their respective families or other persons professionally connected to the promotion (“Entrants”, “you”, and “your”). 3. This competition is open to hosts and guests of “#SPARbecue Parties” (each, a “Party”) selected by Come Round and taking place between 11-12 August 2018. 5. The closing date for entering each competition is 23:59 on Sunday 2 September 2018 (the “Closing Date”). 6. 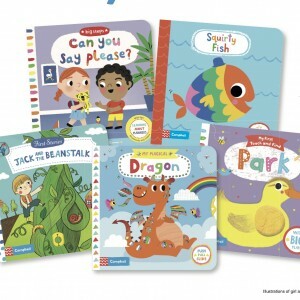 The winners of each competition will be notified by e-mail no later than 1 (one) week after the date on which the winners were chosen (as specified below). 7. The winner must acknowledge this notification by no later than 2 (two) weeks after receiving such notification by emailing support@comeround.com. 8. Failure to acknowledge the notification will be regarded as a forfeit and the prize will be redrawn. We shall not have any liability to winners in such eventuality. 9. In our discretion, we may elect to verify an Entrant’s age and require the Entrant’s reasonable co-operation in providing that verification. 10. All prizes are non-transferable and no cash or other alternatives will be offered. 11. All details are accurate at time of publication. 12. All components of competition prizes are subject to availability. In the event that any component of the prizes is unavailable for any reason we reserve the right to substitute that competition prize component with another prize of equal value and the prize winner will be notified accordingly. 13. It is your responsibility to ensure that we receive your entry. 14. We do not accept responsibility for lost, damaged, illegal, illegible, misdirected or late entries. 15. By entering each competition you are assumed to have accepted these Competition Terms and Conditions. 16. All entries must be made in accordance with these Competition Terms and Conditions. 17. Our decisions in relation to all matters connected with each competition are final. 18. Prize winners may be required to participate in publicity without additional compensation, however reasonable expenses will be paid for provided we have given our prior written consent to the Entrant. 19. We may cancel or amend the terms of these competition and promotion at any time by publishing notice of the relevant details. 20. We shall not be liable for any delay or failure to perform due to any event beyond our control. 21. Proof of posting will not be proof of delivery. 22. You may not transfer or otherwise deal with any of your rights or obligations acquired under or in connection with these terms and conditions. 23. These terms and conditions will be interpreted in accordance with the laws of England and Wales. 24. The decision of the judge shall be final and unchallengeable and in their absolute discretion they may declare any entry void. No reasons will be given for any decision made by the Judge. The Judge comprises a panel of employees and/or representatives of SPAR and Come Round. 25. We will have the right, at our discretion, to change the rules of this competition while they are running if it is fair or appropriate to do so, including extending the closing date, in which case we will place a notice on this section of our website to this effect. No correspondence will be entered into or comment issued on any matters relating to each competition. 26. Please note that no prizes will be awarded as a result of improper actions by or on behalf of any Entrant. “Improper actions” includes, without limitation, any improper manipulation of voting using social media or other websites including improperly incentivizing voting/liking and/or any activity leading to a person casting more than 1 (one) vote (or like) or votes (or likes or shares) turning out not to have been genuinely cast by real people. An entry which receives more Facebook shares than Facebook likes will be deemed to have been the subject of “improper action”. 27. The first names and cities of winners will be made available to those enquiring up to 31 October 2018 by contacting Come Round. 28. All Entrants (hosts and guests) grant to Come Round, to SPAR and to any brand partners (whose product is included in party packs sent to Party hosts) (“Partners”) a non-exclusive, irrevocable, royalty free license to use, reproduce and exploit for the purposes of advertising this competition, SPAR, Partners products, #SPARbecue Parties across media all materials supplied in their entries, and to sub-license these rights to others. We will not be required to obtain Entrants’ further consent to such use. All Entrants agree that Come Round shall be the owners of the copyright in and to any such materials created at #SPARbecue Parties which comprise your name, likeness, image, words, quotes, photographs, recordings and other personal attributes. Accordingly by entering this competition you agree that SPAR, our partners and we can use all such materials supplied in their competition entries (including, without limitation, photographs and videos) as they and we wish, including, for example, for promotion of Come Round and future Come Round parties and events. 29. We are not liable to you or winners if, due to circumstances beyond our control, the competitions cannot be fulfilled, winners cannot be chosen or the prize cannot be used or enjoyed by the winners. 30. Come Round excludes any liability (to the fullest extent the law permits) for any costs, claims, losses you or any third party connected to you suffers or incurs due to your entering this competition. By participating in these parties, hosts and guests agree not to sue Come Round or its affiliates. 31. The supplier of the prizes is Come Round unless where otherwise stated. 32. Create your ultimate burger or hotdog, topped with a SPARbecue flag included in your party pack, then share it on social media using the hashtag #SPARbecue. Be as creative as possible. 33. This competition is open to hosts or guests of a #SPARbecue Party. 34. Make sure you upload your photograph to social media before the Closing Date, which is 23:59 on Sunday 2 September 2018. 35. There is no limit to the number of photographs each person can submit for this competition and each counts as 1 (one) entry. 36. All entries must be original and owned by the person submitting the entry (i.e. not, for example, taken from an existing source). 37. On or around Monday 3 September 2018, the Judge will pick their favourite burger or hotdog entry (based on quality and creativity) as the winner. 38. 1 (one) winner shall win £100 (one hundred pounds) worth of BBQ equipment. 39. This prize is awarded to the host or guest who uploaded the winning photo in accordance with the above. 40. Get all the partygoers together for a group photo at the party and share it on social media using the hashtag #SPARbecue. For anyone who is camera-shy, it is fine for them to cover their faces. 41. Make sure you upload your photograph to social media before the Closing Date, which is 23:59 on Sunday 2 September 2018. 42. There is no limit to the number of photographs each person can submit for this competition and each counts as 1 (one) entry. 43. All entries must be original and owned by the person submitting the entry (i.e. not, for example, taken from an existing source). 44. On or around Monday 3 September 2018, the Judge will pick their favourite team photo entry (based on quality and creativity) as the winner. 45. 1 (one) winner shall win £100 (one hundred pounds) worth of BBQ equipment. 46. This prize is awarded to the host of the SPARbecue party at which the winning photo was taken. 47. 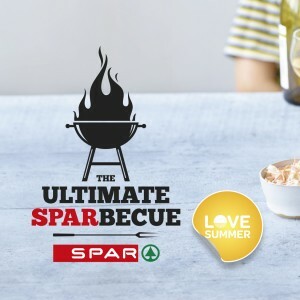 Take a photo of the food and drinks provided by SPAR for the SPARbecue Party you’re hosting or attending and share it on social media using the hashtag #SPARbecue. 48. Make sure you upload your photograph to social media before the Closing Date, which is 23:59 on Sunday 2 September 2018. 49. There is no limit to the number of photographs each person can submit for this competition and each counts as 1 (one) entry. 50. All entries must be original and owned by the person submitting the entry (i.e. not, for example, taken from an existing source). 51. On or around Monday 3 September 2018, the Judge will pick their favourite SPARbecue spread photo entry (based on quality and creativity) as the winner. 52. 1 (one) winner shall win £100 (one hundred pounds) worth of BBQ equipment. 53. This prize is awarded to the host of the SPARbecue party at which the winning photo was taken. You must be at least 18 years old to apply to host this party. 500 applicants will be shortlisted as party hosts based on how well each applicant's' demographic information matches the demographic profile we require for this marketing campaign. Those hosts will be required to have at least 9 guests (all of whom must be over 18 years old) attend their party, with the host having invited each guest through Come Round’s private invitation system in order to be eligible to receive a free party pack containing SPAR product and other items made specifically by us to enable to you to put on the ultimate BBQ. Each host is required to have a working barbecue to use at their party - please barbecue sensibly and safely. Each host is required to carry out activities including creating and sharing content on social media using the #SPARbecue hashtag as well as completing a post-party survey. The homeowner’s prior permission where you plan to hold your party must be obtained. No more than one application to host may be submitted by each person and no more than one application to host may be submitted per household. UK mainland households only. Come Round is the marketing agency running this marketing campaign on behalf of SPAR.